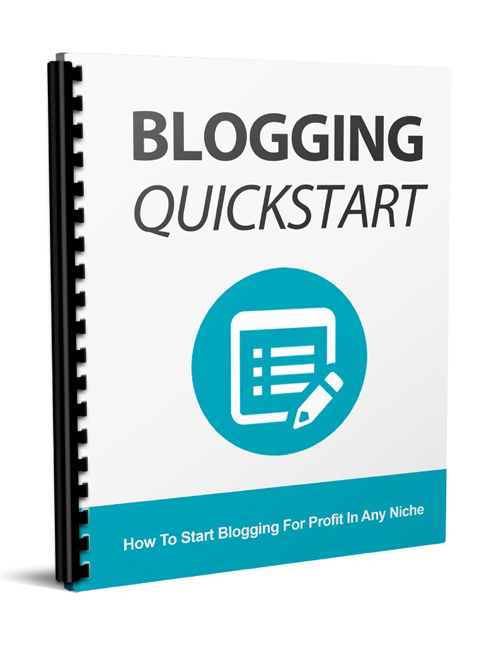 Blogging Quickstart is the perfect beginner ebook to help you understand the steps essential to setting yourself up quickly to start blogging. Whether you are doing it for personal reasons or business, this is the guide that delivers the expert knowledge required to succeed in all levels of blogging. Fact – Blogging is a super hot marketing tactic. It’s a method that can so easily reach out and qualify your business with your intended target audience. Blogs when done effectively will help drive qualified traffic to your website, boost credibility, strengthen your brand, improve visibility, increase conversions and make you more money. Quality blogging can be used to tap into the social media streams and that’s where you’ll find the numbers you need to make your online presence known. If you are sitting in the dark you can’t expect the buying top niche traffic to find you. Blogging Quickstart has your answers. It’s a proven powerhouse method to taking your business to new heights. Grab this guide now.